Moisture Separators remove liquids from the process stream in soil venting applications to help protect the blower from corrosion and mineral deposits caused by entrained water in the vapor stream. 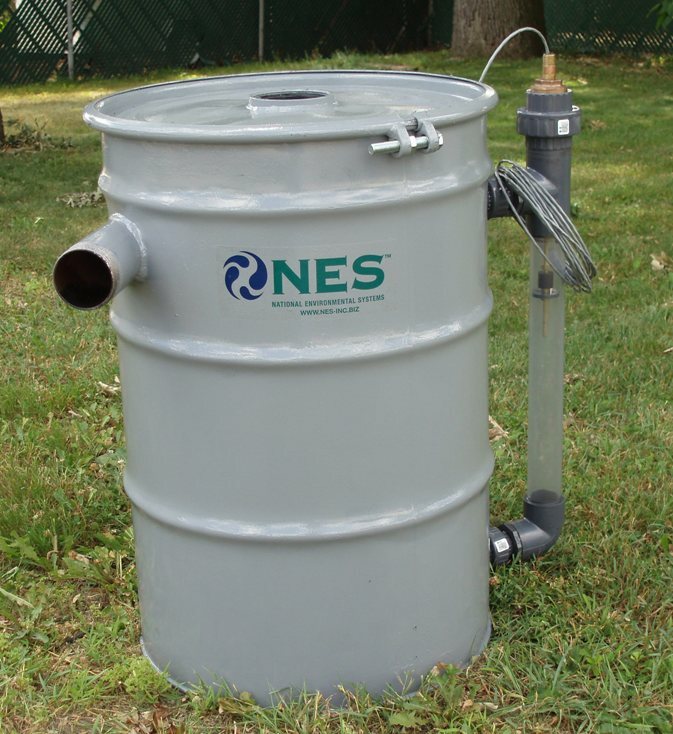 NES manufactures drum and tank style moisture separators. These separators operate on the principles of cyclonic section aided by velocity reduction. The moisture separator inlet pipe is set tangential to the tank wall, a stringer pipe extends down past the separator inlet is placed in the center of the tank. The moisture laden air stream is forced into a cyclonic rotation. The centrifugal force produced throws the water droplets to the outer wall of the separator where they fall and collect at the bottom. Additional efficiency is produced when the velocity is reduced to values between 1500 fpm and 6000 fpm. For a separator of this type, moisture separation efficiency is typically 95% or greater for moisture droplets greater than 10 micron. 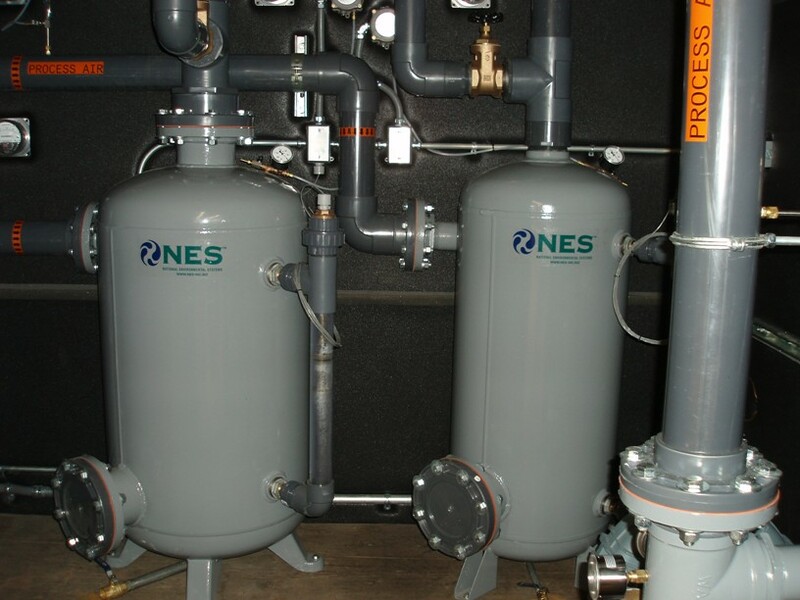 All NES moisture separators are constructed of carbon steel with bronze drain valves. All separators are primed and coated with a rust inhibitor to prevent corrosion. Drum style separators are equipped with removable lids, EPDM gaskets, mechanical ball and float assemblies. Sight glass, emergency high-level switch and pump out switches are available options. Tank style separators are equipped with a flanged clean-out port, a sight glass, and an emergency high level switch. Pump-out switches and mist eliminators are optional.